At first, I was excited to finally see The Inhumans on a screen of sometime. Back in 2014, Kevin Feige announced that The Inhumans were going to get a movie in Phase Three. I was psyched beyond any sort of detail. 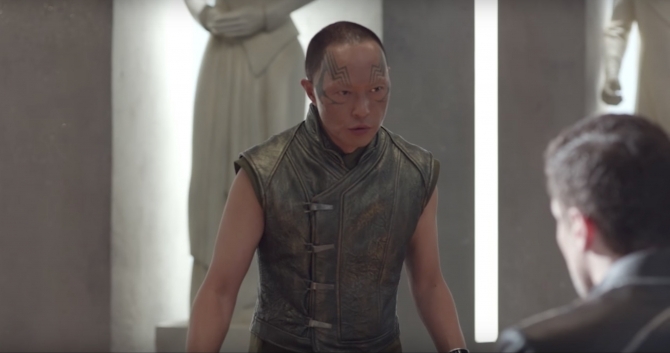 Soon after, we start seeing Inhumans popping up on ABC’ “Agents of S.H.I.E.L.D.” and I only thought that it would lead to a greater connection between the TV shows and the movies within The Marvel Cinematic Universe. But all sudden, “The Inhumans” kept getting pushed back, and Kevin Feige didn’t see eye-to-eye with the TV division, and Marvel Entertainment broke away from Marvel Studios. These events and more led to The Inhumans on the small screen instead of the silver screen. But hey, we were still getting The Inhumans in some capacity and I was excited. If you have been watching “Agents of S.H.I.E.L.D” then you are a bit familiar with The Inhumans, and how walking or being exposed to the extraterrestrial terrogen mists will either give you powers and make you Inhuman, or it will kill you. 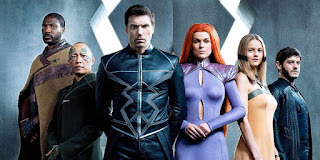 That has been a main focal point of the last few seasons of the show, and now they were about to introduce The Royal Family of Inhumans, who live in a private city on the moon. They may not have been receiving the movie treatment, I thought, but I was still stoked. Especially since actors like Anson Mount, Iwan Rheon, and Ken Leung were joining the cast, everything was making me believe that this was going to be another winner for the Marvel Cinematic Universe. I have finally caught up with the series, watching the first three episodes. All the goodwill this show created for me has absolutely deflated. Perhaps I need to start lowering my expectations on the MCU TV shows from now on. In the year 2017, I have been mostly let down by the MCU TV output. I couldn’t finish “Iron Fist,” I didn’t think “The Defenders” was as great as it could have been and the last half of “Agents of S.H.I.E.L.D.” season four had WAY TOO MUCH going on in it. Now I get “The Inhumans” which could be the worst thing connected to the MCU. Yes, it’s true and it’s radically upsetting. If the movie side decides to completely forget the TV side of the universe, I can’t say I’d complain. More and more I doubt that they will intersect anyway. The first episode jumps right into the city of Attilan, the hidden capital of Inhumans located on the moon. If you are just jumping into these shows now, and haven’t been introduced to the Inhumans, even on “Agents of S.H.I.E.L.D.” then you are going to be awfully confused. The show is expecting you to be up to date on everything going on in ABC’s branch of MCU shows, and “Inhumans” itself does a terrible job setting up the characters. There is no tension, no sense of urgency, and not a whole lot of motivation created. Sure, as the episodes progress, we learn more about some characters in flashbacks. But their motivations are, so far, ordinary and pedestrian. The King of Attilan is Blackbolt (Mount), whose vocal cords are so powerful that he can’t speak, otherwise he will kill you. His Queen is Medusa (Serinda Swan) whose hair has special powers. Blackbolt has a brother named Maximus, who has no powers but survived the terrogen mists (Dear God, more on that later). Then there is Crystal (Isabelle Cornish), Karnak (Leung), Gorgon (Eme Ikwuakor) and a giant teleporting dog named Lockjaw. Blackbolt keeps several Inhumans at the city, believing they will be safe in their secluded home. Maximus believes that humans will find them eventually, and that they should just go to Earth, by any means necessary. This triggers the struggle for this first season, and if you are minorly observing, it looks like a cheap knock-off of X-Men. In the comics, The Inhumans and the X-Men couldn’t have been more different. The biggest problem with “The Inhumans” in the first three episodes is the same problem Fox has been having with Fantastic Four. They don’t want to go full Jack Kirby. They don’t want to fully embrace what makes The Inhumans who they are. Each character is grossly underpowered. Not for creative reasons, but clearly for plot convenience. Not only does Blackbolt’s voice kill and destroy as it gets louder, but he’s just a badass in general. In the first episode, Maximus begins taking over the city, and the Royal Family is scattered all over Earth (rather scattered all over the state of Hawaii, again for plot convenience, all our heroes need to regroup easily) Blackbolt ends up in the heart of Honolulu. First, he walks into a store and gets a suit without paying for it, looking like a shoplifter. Then he is literally beaten down by cops. Seriously, Blackbolt, King of Attilan gets beaten up by cops. Medusa gets her hair buzzed off, which logically makes sense, but how it plays out in the show is laughably bad. Karnak gets captured by freaking weed dealers, then joins them to not be killed. Seriously, who wrote this show. Oh, and Triton dying in the first thirty seconds of the pilot? That’s insulting too. The saddest character abomination is Maximus though. Is there a reason why he doesn’t have his genius level intellect? Or any of his other powers? Why exactly is the show holding those back? Are they milking them for big reveal? I would have rather had Maximus be a powerful adversary from the get-go, it makes The Royal Family look even weaker if a simple human can overthrow a family full of superpowered beings in what seems like mere seconds. Iwan Rheon’s acting is so mind-numbingly atrocious that I can’t believe the same actor played Ramsey Bolton on “Game of Thrones.” Are actors only as good as the scripts they receive? Telling from Rheon’s work in the first three episodes, that is undoubtedly true. I was a fan of Anson Mount on AMC’s “Hell on Wheels,” and even he features low budget acting chops here. I know it must be difficult playing a character who never speaks, but even his facial language doesn’t suit the character. It doesn’t help that between being transported to Earth in episode one, getting thrown in jail in episode two, then deciding to just leave in episode three is a nonsensical mess. The “being-not-from-Earth-suddenly-appearing-on-Earth-and-getting-in-trouble-with-the-law” is the most painfully familiar storytelling device they could have used, totally safe to the bone, and they can’t write anything compelling from it. If you are going for familiarity, at least make it interesting. The worst actor on the show by far is Sonya Balmores, who plays an associate of Maximus after he takes of Attilan. She is sent to Earth to kill the Royal Family. She is a horrible actress. She has the worst lines, and she delivers them dreadfully. In episode two, her character is killed by Medusa and I applauded in my own living room. Then it was revealed that she wasn’t dead, and I could tell that the show fumbled in the story department on that notion. Gosh, she’s so terrible. The first three hours proved, more than anything, that “The Inhumans” should have been a movie property, or it should have been a show on Netflix. It should have had the proper budget to make the visuals compelling. The visuals here are your standard ABC visuals. They try to make these strange worlds look real, but they can only do so much before it all looks cartoonish. This property should have had the budget for better writers and perhaps better actors, although I wish we could see what Mount, Rheon and Lueng could have done with better scripts. After three episodes, I don’t know how these actors can suddenly not be stiff. I don’t know how they can make us care about these characters. I don’t know how they can get the audience to buy into this story that we all know will end happily. But alas, “Agents of S.H.I.E.L.D.” began on a slow, off-putting note. So maybe by season two, “The Inhumans” will finally find its footing, like “Agents of S.H.I.E.L.D.” did. The thing is, “Agents of S.H.I.E.L.D.” was at least vaguely entertaining, even in the first season as it was working its kinks out. 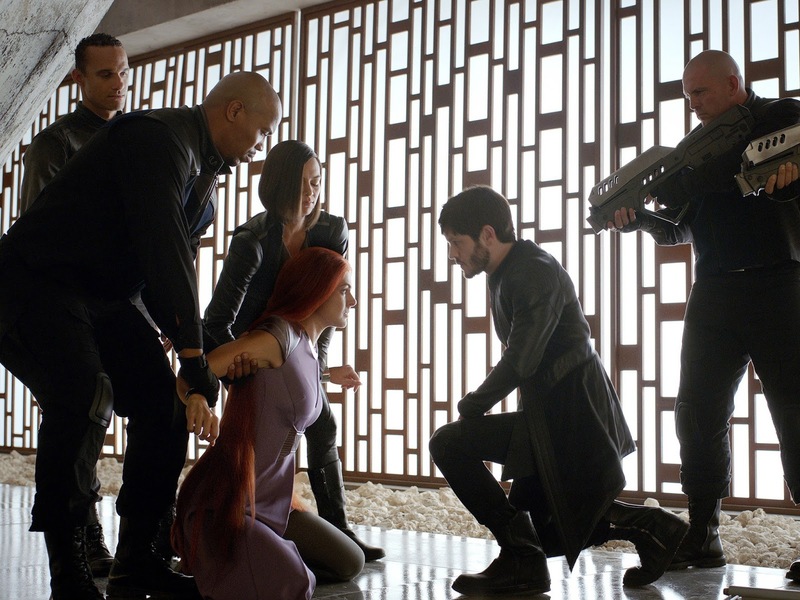 There isn’t much of anything in the first three episodes that is entertaining about “The Inhumans,” vaguely or not.